While just about everything you can think of online has evolved in at least some way over the last five years, blogging stands out as a medium that has really gone through a renaissance. If you stop and look back to just a few years ago, you’ll likely remember that mainstream business acceptance of blogging was still quite low. But as more businesses started to see real results from their investments in blogging, it became clear that this form of content had progressed far beyond online journals for individuals. Fast forward to the present, and blogging has become a standard method of online publishing for a significant percentage of businesses. While it’s great that more businesses have seen how they can benefit from consistently delivering great content to their target audiences, the huge increase in content has created some new challenges. It wasn’t that long ago when simply keeping a blog active was enough to give a business a significant competitive advantage in regards to both search engine rankings and successfully executing a social media strategy. But now that so many businesses have embraced blogging as a channel for increasing search engine traffic and making the most of social media marketing, competition levels have greatly risen. As a result of this increase in competition, not only are businesses investing in things like social media training, but they’re also looking for ways to optimize their blogging efforts. One area that has received a lot of focus is content length. As a result of different case studies and theories about Google’s updates, many businesses feel that they need to produce content that hits a certain word count goal. Whether it’s 500 words or 1,200 words, businesses often get tunnel vision in regards to what really determines the quality of a blog post. While word count goals can serve as a guide for people just getting into the swing of writing for online audiences, this metric isn’t really the one that blogging efforts should be optimized around. The reason that obsessing over word count isn’t really all that productive is different topics deserve and require varying amounts of detail. Since there is definitely value in trying to optimize business blogging efforts, a better approach is to focus on finding ways to identify exactly what an audience wants to read. And then whenever a post is published on one of those topics, its goal should be to provide as much value about that topic as possible. This approach ensures that regardless of how long or short a post ends up being, readers will feel that the post really delivered on its title. This positive feeling will lead to a greater number of people wanting to spend more time on a company’s site, which in turn will increase new online leads or customers. It’s no secret that maintaining an engaging content strategy is one of the best things you can do to grow your online visibility, but writing content on a regular basis can take a lot of work. Learn more about our content writing services. Michelle Hummel is CEO of Web Strategy Plus a full-service digital marketing agency. She was recently nominated for the Woman-Owned Business of the Year! She’s a passionate Social Media Trainer with 15+ years of successful online business development, sales, and marketing experience. 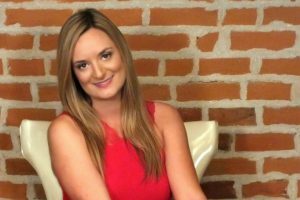 She also holds a valuable Internet Marketing Degree however with the ever-changing world of web marketing she strives to learn something new every day. She travels Nationwide visiting her 22 Social Media Enthusiasts Chapters delivering in-depth social media training. She also provides Social Media Certifications through founding Web Media University. A current contributing editor to The Franchise Dictionary Magazine and she has written 3 books in her series called, “The Social Media Magnet: Everything You Need to Know to Attract Customers with Social Media”, where she shares her best-kept secrets to success. She also specializes in helping Franchisors and Franchisees develop an integrated web marketing program to drive leads. She’s available for interviews via email, telephone, Skype video, news segments on location and more. Just let her know how she can help!